One thing that is particularly refreshing in Berlin, and in all of Germany for that matter, is the way in which the atrocities of WWII are so openly portrayed. I remember visiting the Dachau Concentration Camp over 10 years ago and witnessing a number of local school groups being guided through the stark courtyard and buildings. Most of the students either had tear stained faces, or were sobbing quietly as they witnessed the hateful crimes that their grandparents had perpetrated. Surely being forced to face such awful acts is the first step in preventing something so terrible happening again in Germany. I recently visited a museum called the Topography of Terror which documents, in considerable detail, the meticulous and calculating methods that the Nazi regime went about committing genocide. The museum itself is particularly austere and oppressive. 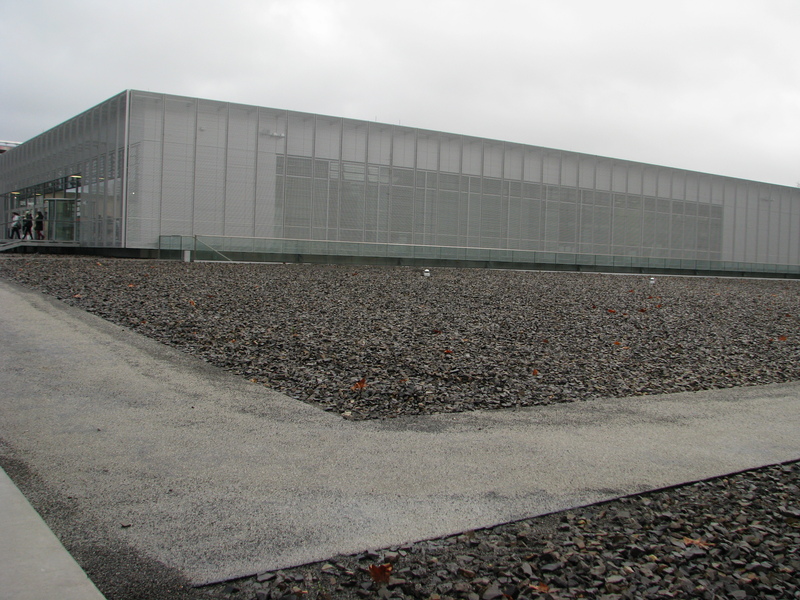 A metallic grey, rectangular structure surrounded by a grey gravel landscape design. 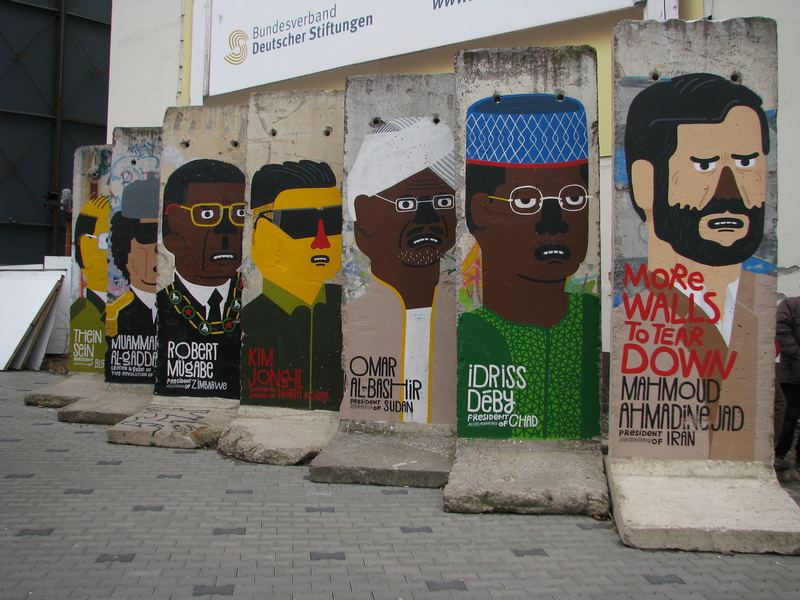 It also features a long section of the Berlin wall down one side for added effect. During the “Third Reich” the headquarters of the Secret State Police, the SS and the Reich Security Main Office were located here. It is interesting that when we talk about Germany at this time we talk about Nazi Germany, as though it were the Nazis alone who were responsible for the holocaust, and the “normal” (non-Nazi) Germans were innocent. Once again I am impressed with the honesty and openness of Germans today, as it was made abundantly clear in this museum that Hitler and the Nazi party had the overwhelming support of the German people. This was well documented with the massive rallies in support of Hitler held all over Germany. One such rally occurred in 1936 at the Blohm and Voss Shipyards in Hamburg. The Führer, Adolf Hitler, had given a stirring and emotive address after which the national Anthem was sung, with all present raising their arms in full salute. Well almost all. 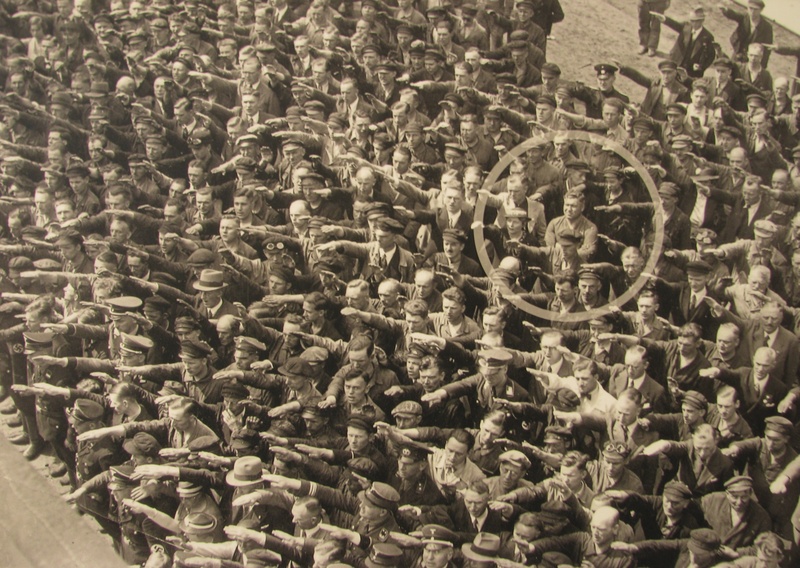 There was one gutsy fellow by the name of August Landmesser who stood there, arms folded, in defiance of Hitlers already anti-Semitic learnings. August (a non-Jew) had married a Jewish woman, which was illegal in Germany at that time. As one behind their Führer. All his fellow workers were standing there in ernest salute and August had the gumption to go against the grain and not participate. 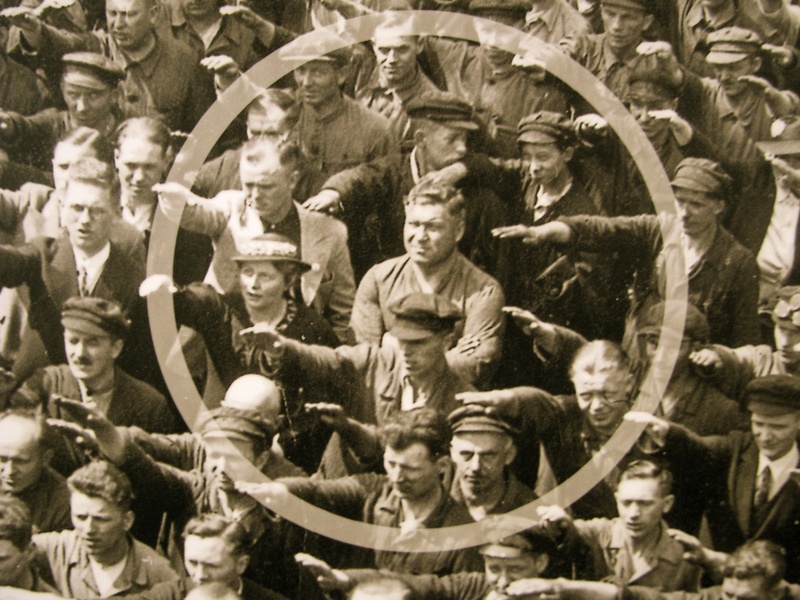 In this act he ended up on the right side of History. It made me reflect on what I might have done in that position. I would like to think that I would have been the radical non-conformist who was prepared to risk everything in a stand for what is right. But I don’t know… Peer pressure, the tide of public opinion and harsh punitive consequences are all strong motivators to conform. I could easily justify conforming, believing that I was doing what was right for my family, after all being sent to a concentration camp would not benefit Shoshanna or Amaya! And perhaps that is what many people did, turned a blind eye in order to survive. So Germany doesn’t have a patent on all things terrible. There are so many injustices today. Thousands of children dying from hunger related causes ever day for starters. The majority of the world living in abject poverty with a lucky minority owning the lion share of the wealth. Add to this the human rights abuses that we read about in our newspapers on a daily basis. What do we do? Do we put our heads down and concentrate on our own lives? Do we turn a blind eye? And if we knowingly do this are we in some way responsible for the new topography of terrors in our world today? Sorry there are no cute babies in this post. More walls to tear down!